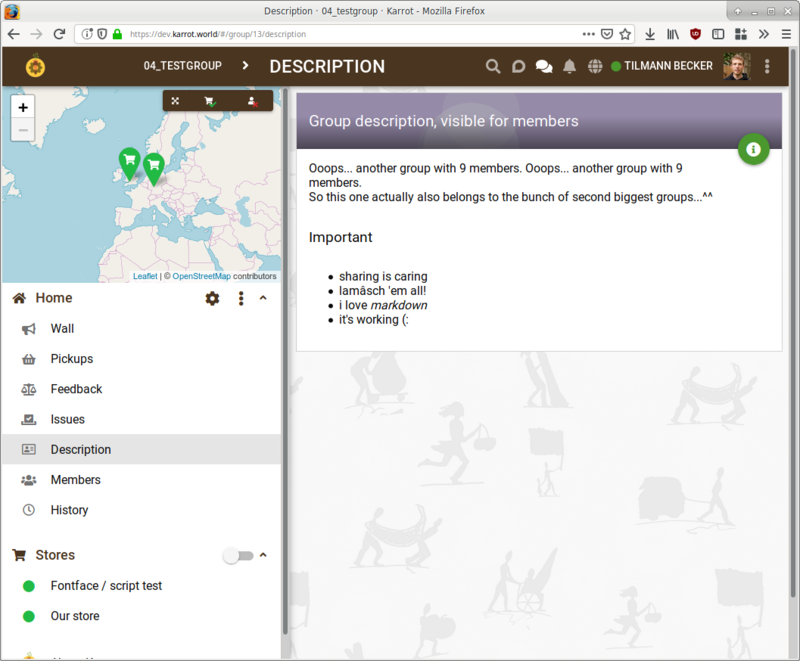 Remove or move internal group description, aka "group description, visible for members"? I noticed that the group description that’s only visible for members might not be used very much, so I wondered if we can remove it and have more space in the sidebar. We have our rules there. We don’t update it too often, but it would be good to have some place for rules, links, etc. We still have a lot on FB, but with the store walls we are slowly thinking about moving from FB to Karrot only! It’s not used frequently but it’s needed. I think having it in the sidebar under “Home” section is the best place for it. I’m not sure where else it could be to easily find it if needed.